Robbie Keane returns to Molineux where his glittering career all began. Join us for what will be a memorable homecoming at ‘An Evening with Robbie Keane’ on Friday 15 March 2019. The 38-year-old was recently appointed as Mick McCarthy's assistant for the Republic of Ireland since his decision to hang up his boots. ShowFighter is proud to present his first public appearance in Wolverhampton since his retirement and to hear from Keano in person. Robbie, who was a huge fan favourite at the Molineux, once partnered with the legend Steve Bull and went on to make more than 70 appearances for Wolves after breaking into the team in 1997. Keano scored a rapid 24 goals before moving on to Coventry City in 1999. He went on to have spells at Inter Milan, Leeds, Spurs, Liverpool, Celtic, West Ham, LA Galaxy, and Aston Villa before playing in the Indian Super League for ATK in Kolkata. 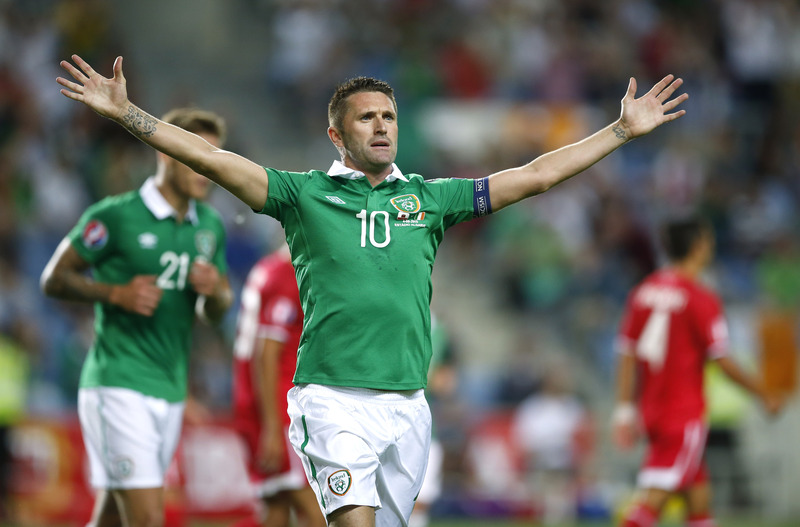 From 1998 – 2016, Robbie Keane appeared for the Republic Of Ireland's national team for an astounding 146 games in which he scored a record 68 goals! He was an admired player by Irish supports and became one of the so-called 'Golden Generation’ of Republic of Ireland footballers. Although he was well travelled and a huge fan favourite at most clubs he played for, Keano always kept a special place for Wolves in his heart. In a lengthy retirement statement, the striker gave special thanks to Wolves - claiming that he'll 'never forget' the opportunity handed to him by the club. "I would like to pay a special thanks to Wolverhampton Wanderers for believing in me and giving me that chance when I made my professional debut in 1997, at the age of 17, against Norwich City," he said. We are excited to hosting the ‘Golden Boy’ back at Wolves for what will be a memorable homecoming and the first-ever opportunity to meet Robbie Keane for 'An Evening With...'. Look out for our various ticket packages on offer.